Had Jim been around for the birth of the internet, YouTube, and cell phones with video cameras, he would have witnessed his prediction become reality. It happened despite the cancellation of Little Muppet Monsters just a couple weeks into the season. Unfortunately, production fell behind on the animated segments so the show just wasn’t ready in time. Additional episodes of Muppet Babies were slotted in to fill the gap in the schedule. 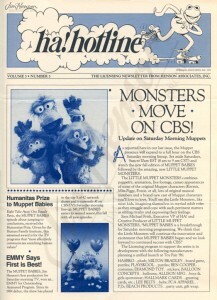 The Henson creative team were victims of their own success – the ratings for Muppet Babies were so good that CBS decided to continue with the double-episodes and gave up on Little Muppet Monsters. Learn more about the show’s development and the new characters. Michael Frith’s concept for the Little Muppet Monster’s studio in the basement, 1985. 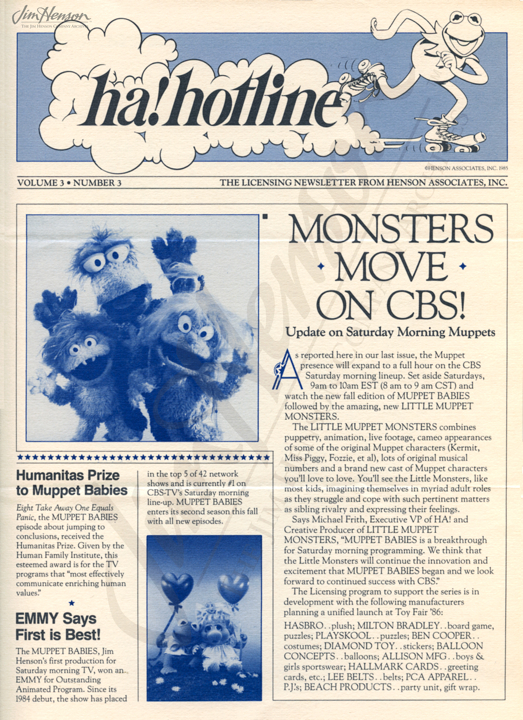 The Henson licensing department featured The Little Muppet Monsters in their newsletter, fall 1985. 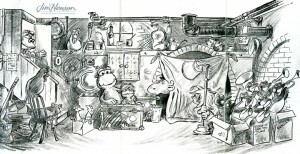 This entry was posted in 09-Septmeber '85 and tagged CBS, Little Muppet Monsters, Muppet Babies, Muppets. Bookmark the permalink.